This old postcard, from the family collection, shows St. Peter's Church in the Great Valley, where we are laying Mom to rest beside her mother and grandparents on this windy but sunny Saturday morning, with a graveside service by the Rev. Abigail Nestlehutt. 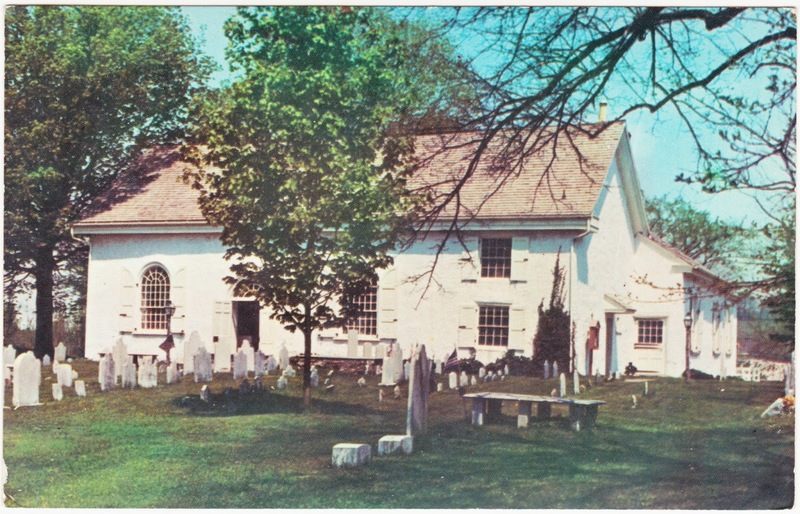 St. Peter's, in Malvern1, was founded in 1700 and, according to this mid-century Dexter Press postcard, the present church was constructed in 1744 and the oldest legible tombstone dates to 1703. Mom rarely let one of my visits to her house pass without reminding that the information about the family's burial plot at St. Peter's was located within one of the middle drawers of the old living room. And, indeed, everything I needed — including the original receipt from 1958 — was there and ready to go. The church official handling the interment was impressed. 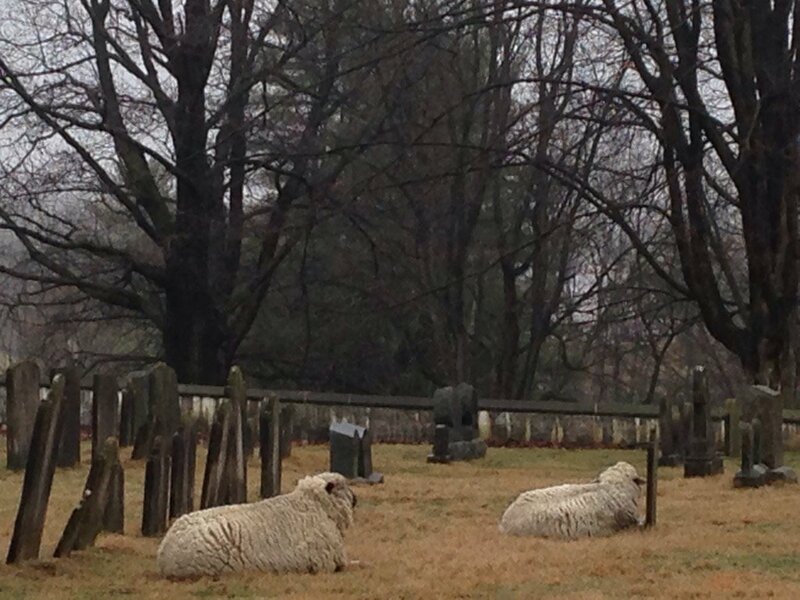 Today, the oldest section of the cemetery, right beside the 1744 church, is contained by a stone wall and has, as its "groundskeepers," a small flock of sheep. They keep the grass short without the church having to deploy the services of a nasty lawnmower near the fragile old stones. It's a beautiful spot for Mom. 1. Because the church is centuries old and because the towns and communities of southeastern Pennsylvania have gone through numerous and overlapping nomenclature and post-office changes over the years, St. Peter's "location," within the Great Valley, has been referred to Malvern, Paoli and Devault, among others. The Rev. Frederick A. Breuninger, who drafted the original receipt for your family's burial plot on August 3, 1958, passed away in June of 1982. He is buried in the same cemetery. When you next visit your mother, visit the Reverend as well. It would be an honor to them both, bless their memories.